I never started out wanting to be a writer. It was just the confluence of starting to feel I had something to say about beer and my position as an aspiring creative director in a Chicago advertising agency. I was fortunate enough at the time to have a boss who was a terrific writer and she was kind enough to beat me mercilessly for a couple of years until I caught on. My first rough pile of homebrewing recipe forms and other paperwork eventually got turned into my first book, The Brewer's Companion. 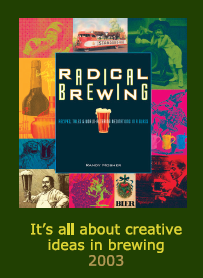 After I had accumulated ten years of articles and presentations on homebrew topics, the idea for Radical Brewing came to me, and I eventually put that one together as well. 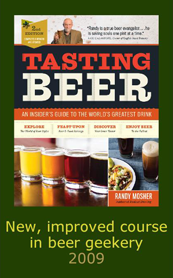 Developing and teaching a class for the Siebel Institute that covered all of the basics of beer and how to taste it gave me a chance to really fine-tune the material in a way that makes for a really clear-headed book, one of the reasons I think Tasting Beer has been so often recommended as a text. 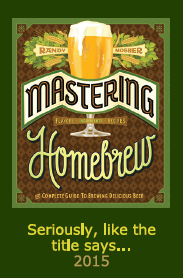 The two more recent ones, Mastering Homebrew and Beer for All Seasons, originated from publisher requests, but that still gave me a lot of leeway to create them as I saw fit. I always strive for books that are different from each other and also from everybody else's. I delight in challenging assumptions and have been happy to contribute in a small way to peoples' understanding of what beer has been—and can be in the future. I also try to write with clarity, for clean, unencumbered reading and packed dense with information. 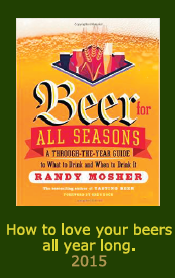 One mission I always try to fulfill is to bring new information to light and help people think of beer and their relationship to it in a different way. It's a beautiful thing to be able to affect people at a deep level, and I am deeply grateful to have been able to be an encouraging voice in the ear as people have journeyed through the magical world of beer. Each book gets its own section here, with a bit of an introduction and some insights into the thinking behind it. There are links to reviews, an errata list for those inevitable typos and oversights. 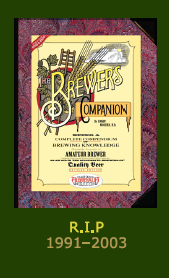 We offer signed & dedicated copies of my books (except Brewer's Companion, which is out of print) through eBay, and you can find those links at the end of each book's section or in the tab called "Buying Books." You can also find many of my published magazine and journal articles archived in this section, along with some additional unpublished meanderings.